16th September, Deomali: Bishop George blessed the first Church in Longkong village, under Deomali Parish on 1st September, 2o13, in the presence of many faithful, Sisters and Rev. Fr. Linus Jamuda, the Parish Priest. Longkong is a small village inhabited by the Olo tribe who live both in India and Myanmar. The village became Catholic only in August 2013. The new Catholic Community needed a place to come together to pray and praise God. 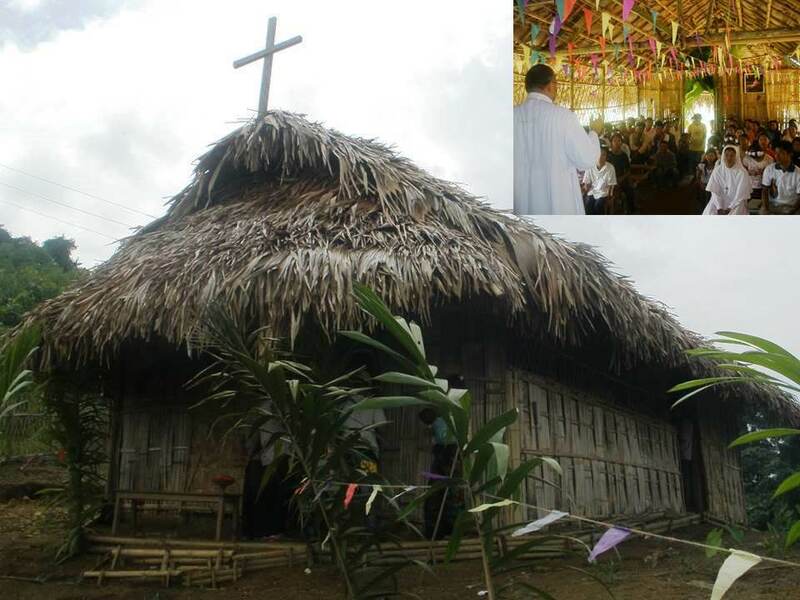 Being aware of this immediate need of the people here, Bishop George with the help of the local church leaders and the Priests put up a humble Church, made of Bamboos with thatched roof. The new Church was blessed on 1st September, 2013. The smile on the face of the each of the faithful present was an indication of the great joy they felt at the occasion of the blessing of the first Church in Longkong village. All the faithful were happy and grateful to Bishop and the donors who helped to make this Church a reality. “We are very happy today to have our first Church in our village. We thank Jesus Christ for blessing us with this new Church. May God bless all the kind donors helped us put up this Church,” said the Catechist of the Longkong village.